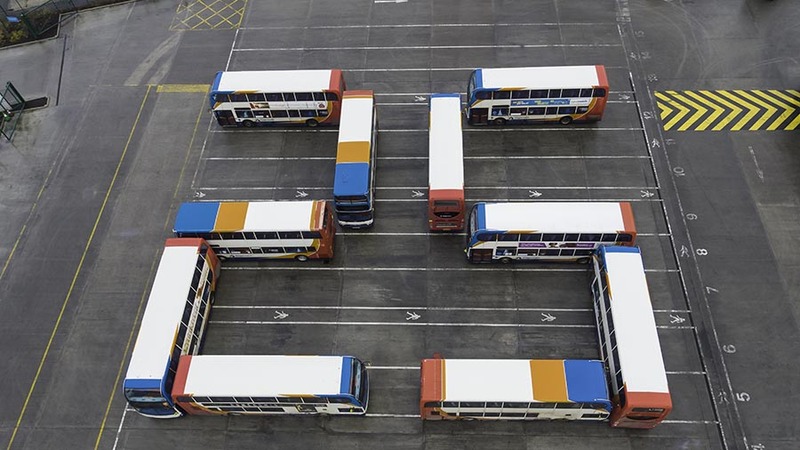 Bus drivers for Stagecoach West decided to go above their bosses’ heads – and mark the firm’s 25 years in business by calling in intervention from on high. With some quick thinking, skilful driving, a drone – and the thumbs up from the management – they let the tools of their trade do the talking. Ten of the company’s buses were manoeuvred into a position which might have baffled those on the ground, but from above spelt out its birthday in years. Bill McCartney, Stagecoach West depot transport manager, was one of those coordinating on the ground. “This was a bit of fun – and a challenge for the drivers and the drone pilot to get the buses in position and perfectly lined up in what were difficult weather conditions,” said Mr McCartney. Stagecoach West bosses had already given two of its double deckers a special silver anniversary makeover. The eye-catching livery, in sparkling silver, blue and red, includes the slogan: “Celebrating 25 years of Stagecoach West”. The two bus are now operating in the Gloucester and Swindon areas. When Stagecoach West was formed in 1993 Bill Clinton was sworn in as the 42nd President of the United States, Ford motor company launched its new Mondeo hatchback car and the Queen opened Buckingham Palace to the public for the first time. Over the last quarter of a century Stagecoach West has grown to operate 300 buses throughout Gloucestershire, Wiltshire, South Herefordshire, South Gloucestershire and North Bristol, transporting 509 million passengers. It has also made a number of other ‘magic 25s’ appear – albeit with several noughts on the end of each. Investment of £250,000 was recently made in the latest engine technology for each of its Stagecoach Gold buses. All of which reduced nitrogen oxide emissions by 90 per cent, compared to the buses they are replacing, and also saw Wi-Fi and USB charging added for passengers. 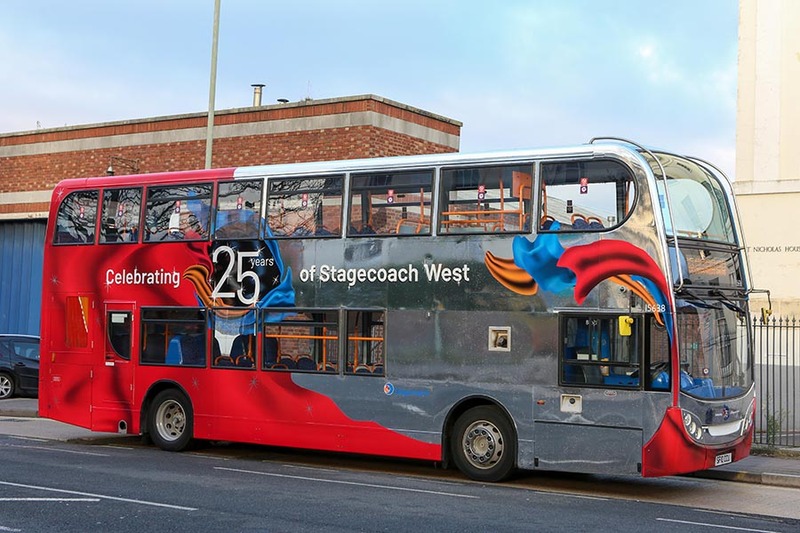 Stagecoach West’s managing director, Rupert Cox, said: “It has been an exciting 25 years for our company and during that time we have seen Stagecoach West grow and the level of service we provide our customers continue to rise. 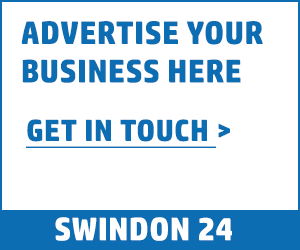 2018 – Stagecoach makes record investment in new buses in Swindon with 22 new Gold double deckers on routes S6 and 55. Stagecoach West launches Arle Court Park & Ride in Cheltenham. New £7.5m Gloucester Transport Hub opens.